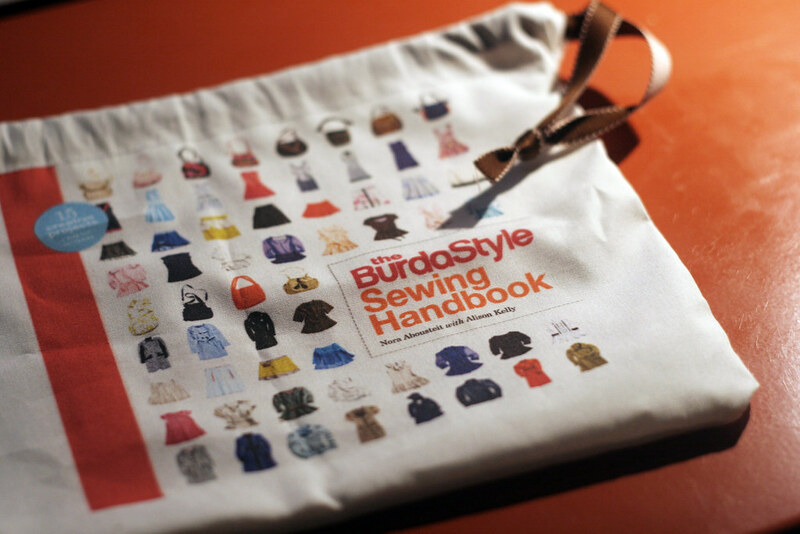 “Do you want to learn how to sew a little bag?” she asked? Machine sewing didn’t really come back to me naturally. It took me a few tries to get the feel for clamping the foot down on the material, and figuring out where the needle was actually going to be darting in and out of the cloth, but it was really a blast using this machine to help me stitch together these seams on a piece of cloth to first make a channel for the eventual drawstring and then to sew closed to two remaining open sides to form the bag itself. I spend all day playing with a generic, do-anything machine. Over the years, I have learned how to control this machine to search piles of text, to power websites, to edit photos and hundreds of other little tasks. The sewing machine itself does one thing. It it a machine that has been designed to pass two pieces of thread back and forth through a piece of cloth. That is all you can do with a sewing machine. But with that one, single action, you can create almost anything you can imagine as long as it consists of cloth being held together with thread. And the wonderful thing about sewing is that, a the end of the process, you have a one-of-a-kind product that was shaped into being with your own two hands. The name of the game with computing, and with the web specifically, is scale. Repeating the same actions over and over again for hundreds, thousands, and millions of users, with no human interaction, in order to fully realize the benefits of computer technology. And yet here, we were doing the exact opposite. Every one of those pieces of cloth was going to have to be turned into a bag by the person who was going to walk out the door with it. Ten visitors to the sewing machines? Ten bags. A hundred visitors? A hundred bags. And while the machines can make short work of turning a piece of cloth into a bag, and while Singer really could have provided every visitor a bag just for walking in the door, the emphasis was notably on having the guests actually go through the process of creating an object for themselves. I spend all day long building software systems that live on virtual servers on real hardware sitting heaven knows where in the world. I love my work, but it is always important to try to ground ourselves back in the world from time to time, and there continues to be no better way to do so than to make something physical.